Curette periodontal Langer 3/4 LM 283-284 XSI. 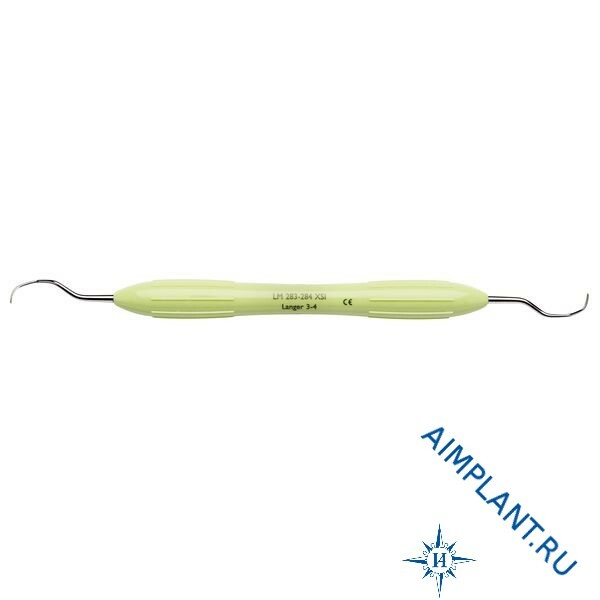 Used to work on all surfaces of the premolars and molars of the lower jaw. Combines the working part of the universal curettes and bending of the body curettes Gracey.